One of the things I enjoy a lot about Colombia is the fruit. Compared to the UK, there's a massive variety on offer, it's all bigger and a good deal cheaper! When my parents came with us for Christmas a few years ago, we took a trip to the local fruit shop and bought up a selection for a tasting session. 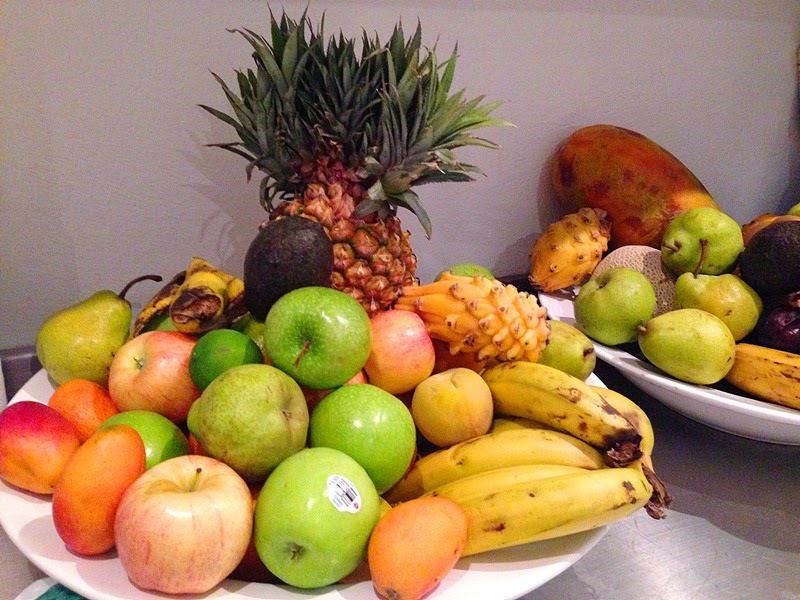 And when I say fruit shop, think of something like a medium-sized supermarket in the UK, but ONLY selling fruit! We saw at least 5 types of banana and a whole load of fruits we'd never seen before. Even Mr DI wasn't sure what some of them were called! We've got two great big bowls of fruit here in the holiday house we're staying at this week in the warmer southern part of the country. 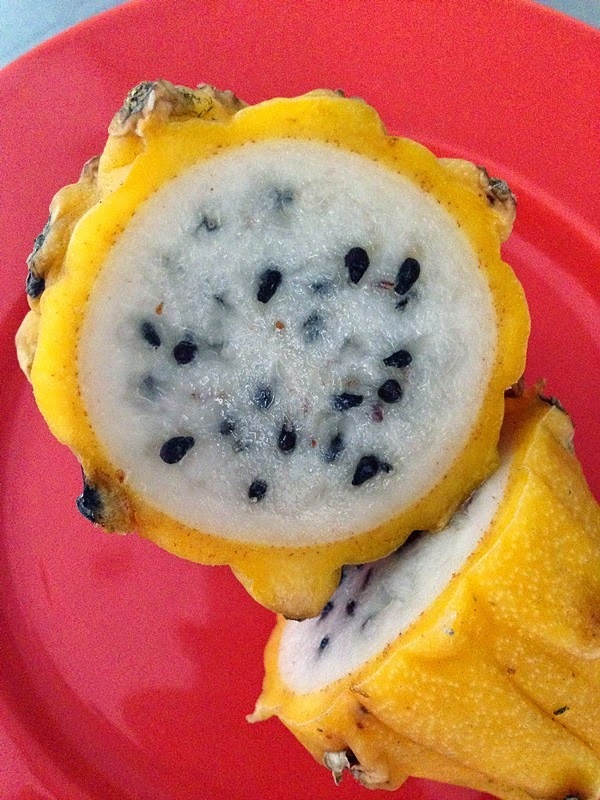 Pitaya is of the cactus family. 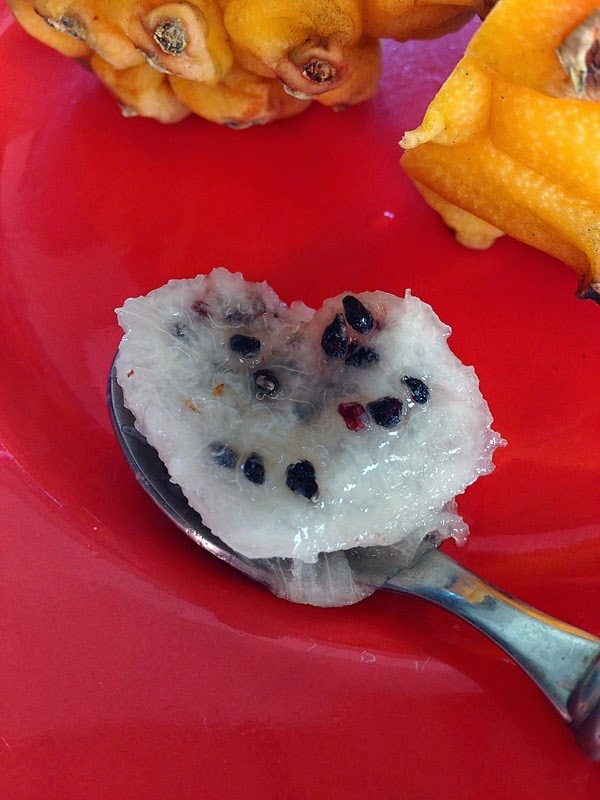 You may know it as Dragon Fruit. It doesn't look especially appealing from the outside ~ it's kind of hard & knobbly ~ but when you cut it open you are rewarded with a pulpy flesh, a little bit like kiwi, but sweeter. 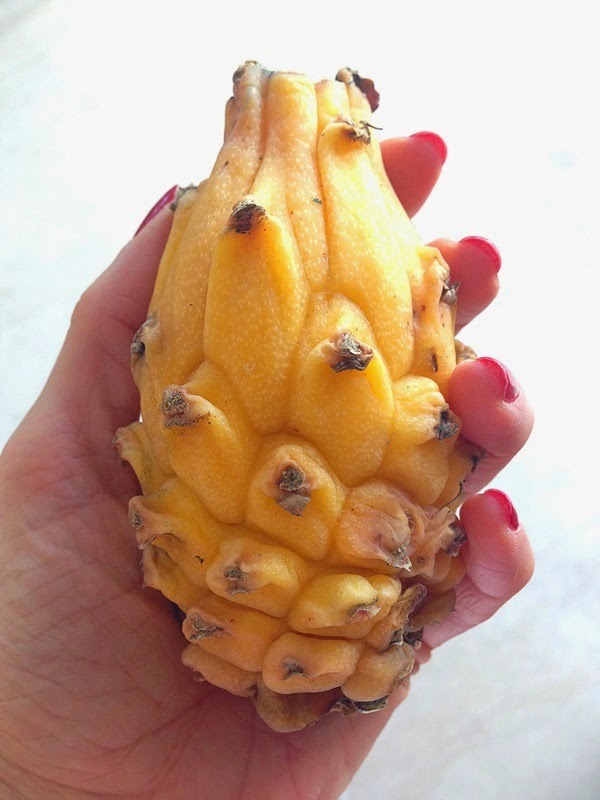 Pitaya is low in calories and good for the digestion ~ what's not to like?! I ate the fruit like an egg with a spoon and it was delicious! 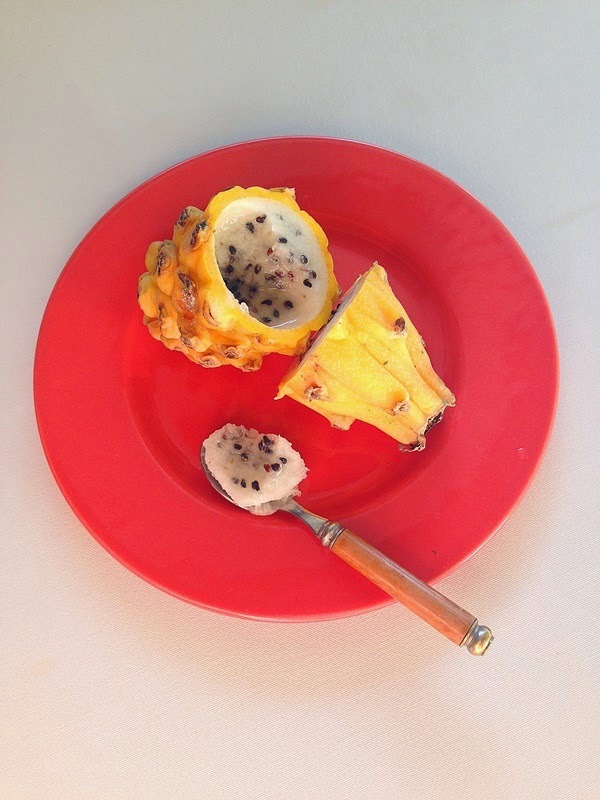 Have you ever eaten pitaya? Did you like it? 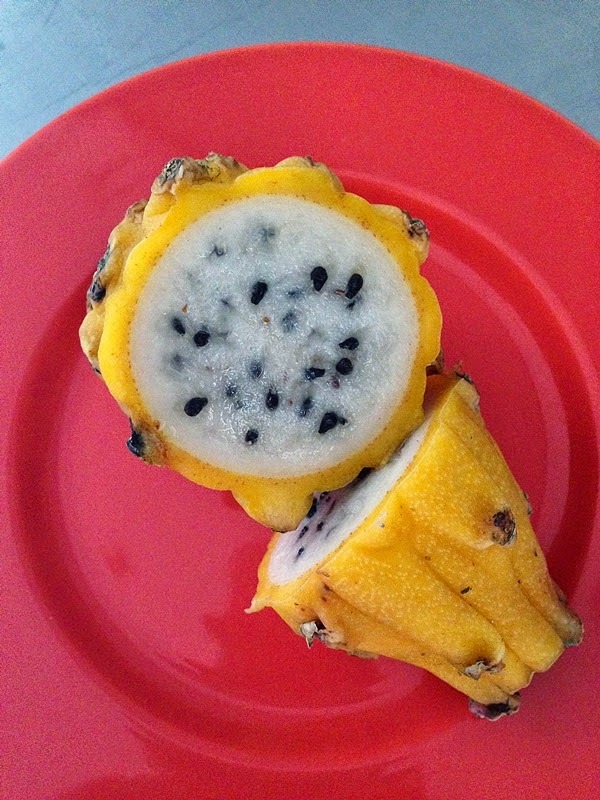 I've love to hear about any unusual fruits you've tried in different countries!